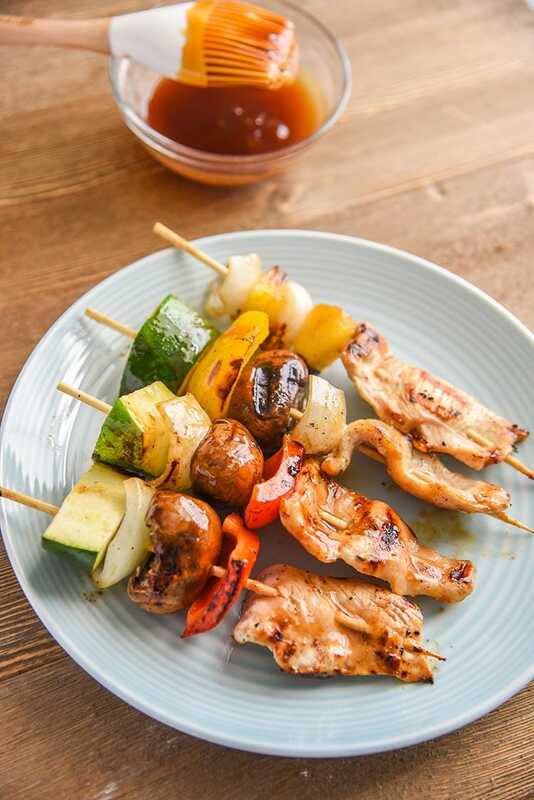 Teriyaki Chicken Kabobs are grilling made simple with our secret weapon chicken kabob marinade. 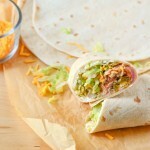 This kabob recipe great for kids and adults! Are you getting your grills ready? Now that the summer has begun we’re already outdoors grilling and partying with friends and family. We love going to carnivals and festivals and they always have kabobs. Our whole family LOVES them! They’re so easy to make at home. Whenever I make my chicken and veggie kabobs they’re the first thing to go, even before the cheeseburgers. 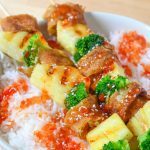 I make my teriyaki chicken kabobs mini this way I can make sure everyone is eating veggies too!! By the time they finish the kabob they’re ready for another teriyaki chicken kabob with MORE veggies! I do my kabobs a little differently, the chicken is at the end and then the veggies are at the top. I do them this way as I don’t have to worry about taking the temperature of each piece of chicken on a single kabob. It makes it much easier to check. For the chicken I boneless skinless chicken breast and then cut them thinly, so they cook quickly. The result, moist chicken, and tender (not overcooked!) vegetables. It’s my favorite way to make kabobs! 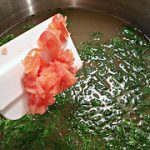 We love a sauce that packs tons of flavor and that can be used with a short marinating time. I’ve been using NEW P.F. 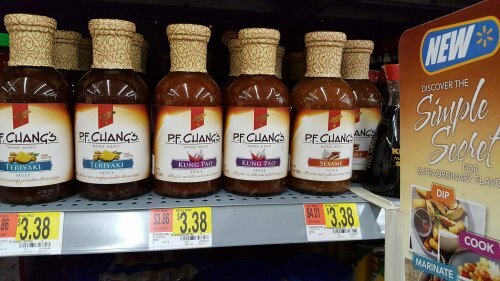 Chang’s® Home Menu sauces that you can find at exclusively at Walmart (Asian food aisle). It comes in Sesame, Teriyaki, Kung Pao flavors. Using these sauces is my idea of Grilling made simple! 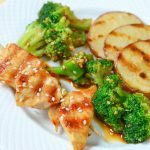 I marinate our Teriyaki Chicken Kabobs for about 30 minutes, but you can let them go for as much as two hours or more if you need. Just remember to keep your kabobs refrigerated! 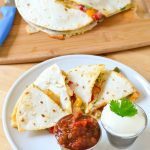 Another fun variation on this is just using pineapple, peppers, onions, and chicken. 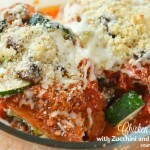 You can get super creative with the ingredients and put whatever flavors your family likes. When using a kabob skewer there are a few different options. We prefer using the wooden skewers so we can make them the size we want. Wooden skewers will burn on the grill so it’s important to soak them in water prior to grilling. Then there are metal skewers as well, which we do not use around children as they think they’re are swords, ah! 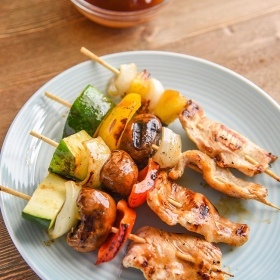 We hope you enjoy our Teriyaki Chicken Kabobs, if so don’t forget to pin them to your favorite Pinterest board! 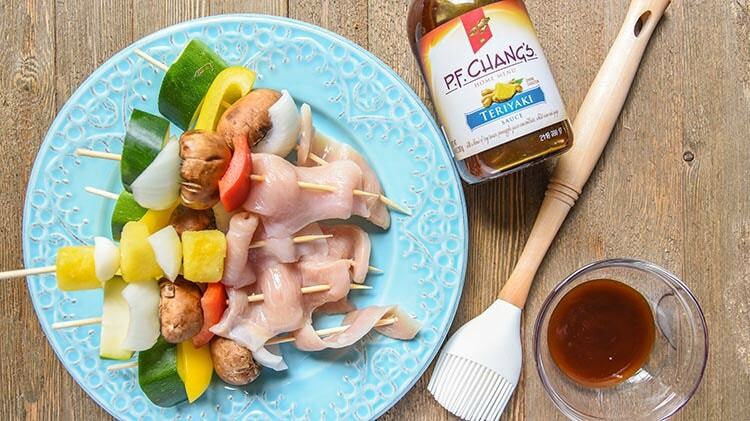 Teriyaki Chicken Kabobs with veggies and our secret weapon chicken kabob marinade. 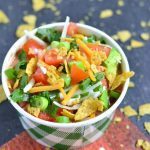 This kabob recipe is great for kids and adults! Chop the peppers and onions into the desired size. Cut the onion into fourths and separate the layers. 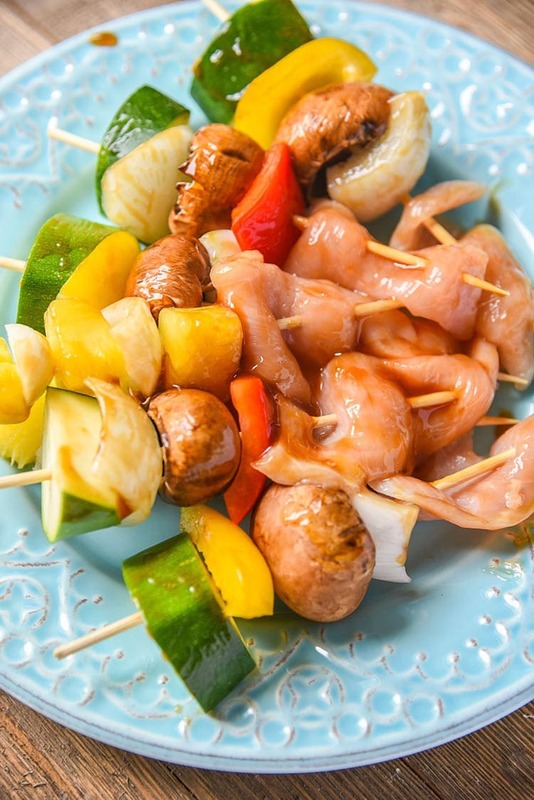 Arrange the veggies onto the skewers and then place the chicken at the end. 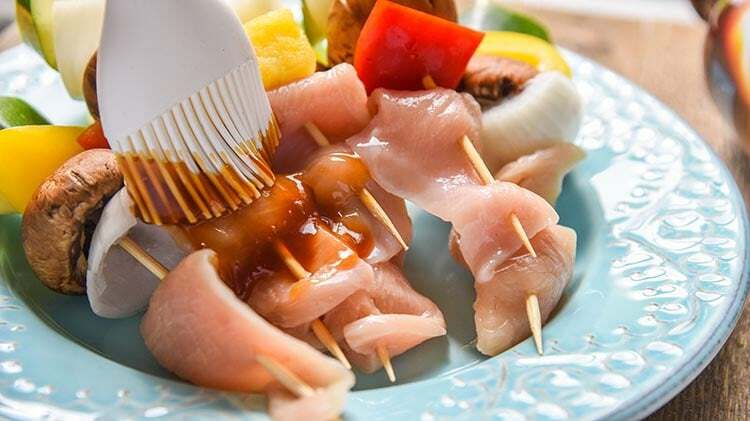 Once all of the ingredients are on the skewers, baste them with the teriyaki sauce. Cook 5-6 minutes per side on a hot grill. Allow resting 2-3 minutes before serving. These chicken kabobs look amazing! 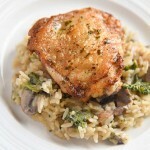 I love the idea of one thin piece of chicken for faster and more even cooking!